Summing up Nepal is a difficult task. 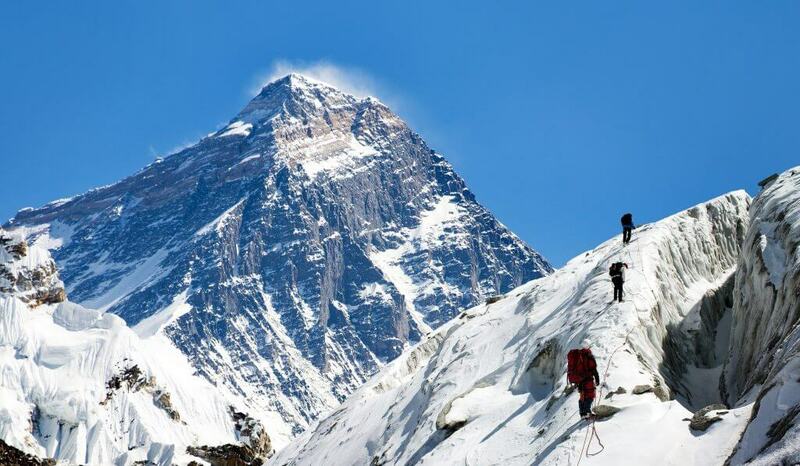 For many, the first thing that springs to mind is Mount Everest; and fair enough. The Himalayas are indeed a feature of day to day life in many parts of Nepal. Snow-capped mountain tops adorn the horizon in many towns and cities, and the landscapes they have carved out have helped shape the culture of many ethnic groups. But Nepal is also host to flat, oppressively hot and culturally distinct regions too. Travel in other directions and you will find tea fields, lakes, jungles, glacial rivers, and unique peoples and languages that round out this diverse nation. Nepal can feel overwhelming when you first jump off the plane. “Chaos!” was the first word that came to my mind. But after almost two years living here, I have come to learn that there is a way to get just about anything done in Nepal if you are prepared to ask questions, go with the flow, and not get too hung up on deadlines. 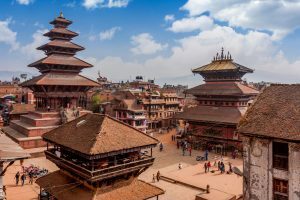 If you can take this approach to travel, then you will enjoy a culturally rich and scenically spectacular time in Nepal, without having to use up all your savings. 2 How Much Does a Trip to Nepal Cost? Kathmandu is home to many historic cities and religious monuments. Some of these include Patan Durbar Square, Bhaktapur, and Swayhambhunath and Boudhanath stupas. If you don’t have long in Nepal, there are some great short treks that can be done in the hills that surround Kathmandu. On a clear day, you can see the Himalayas from these trekking routes. No matter where you are staying in Nepal, be sure to give yourself time to acclimatize, especially before departing on any treks. Pokhara is a scenic city and is a bit less hectic than Kathmandu. The tourist strip in Pokhara is right along the lake (Phewa Lake). For something extra special, take the 10km trip (around 6 miles) to Sanangkot and watch the sunrise over the Himalayas. If you plan to trek in the Annapurna range, Pokhara is the starting point. 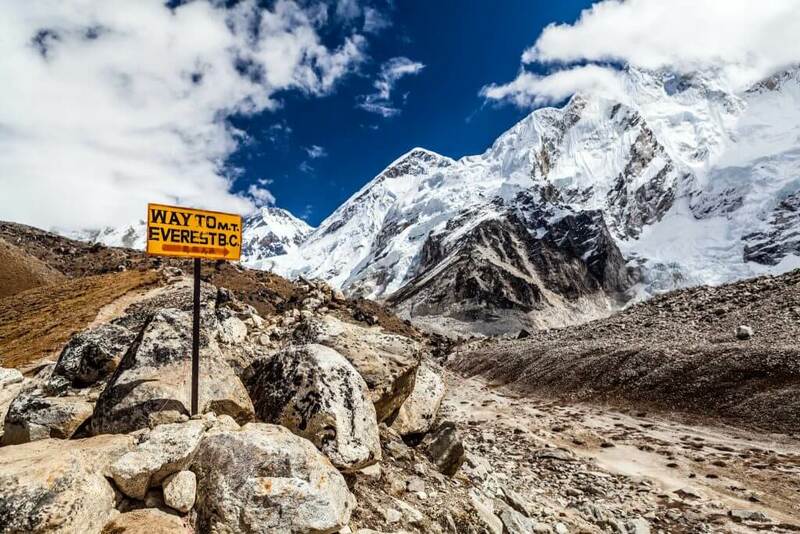 If you plan to trek to Everest Base Camp, you will be climbing to around 5,380 meters above sea level. While trekking is hard work, the sleep at the end of the day is sweet (at least at lower altitudes), and the views do not disappoint. The Annapurna range is favored by some, as it is not as busy as the Everest trek. Annapurna Base Camp is not as high in altitude as Everest Base Camp, so it is a good choice if you are not sure about altitude. 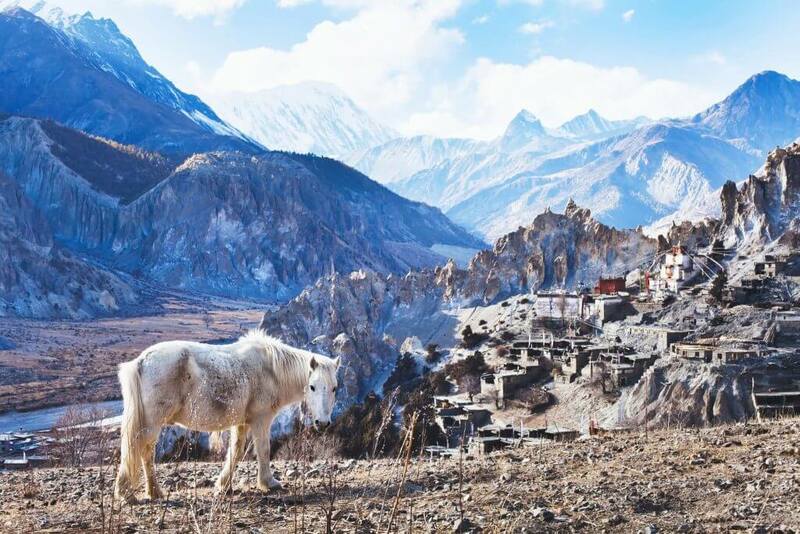 Aside from these well-known treks, there are many alternative treks that can be done in Nepal, with spectacular views, natural hot springs, and lakes and hillside villages to visit as you go. The Chitwan National Park is home to a host of animals including rhinos, elephants, tigers, crocodiles and birds. The area is flat, humid and lush, especially in the warm season. Chitwan is about 10 hours by bus from Kathmandu, and there are a host of hotels to stay at near the park to fit just about any budget. Prices range from around $5 a night right up into the hundreds. Jungle tours can be done by jeep, by canoe or on foot. A visit to Chitwan can also be combined with adventure packages or a trekking tour. You can instantly browse and book safari tours, as well as see reviews, on Viator. A word of warning – while it is possible to take tours by elephant back, the training and treatment required to ride elephants anywhere is a controversial and troubling issue. There are many other cruelty-free options that explore and see the jungle, and don’t involve riding elephants. How Much Does a Trip to Nepal Cost? This largely depends on how long you plan to stay and how much luxury you crave. For basic yet comfortable food and lodging, around $40 USD a day should easily get you by. The currency in Nepal is the Nepali Rupee. As a guide, 100 NPR is around $1 USD. To enter National Parks and certain districts in Nepal (e.g. when trekking in certain areas), you need to pay an entrance fee. The fees differ from area to area, and some are extremely expensive. For example, foreigners pay $500 USD per person for a 10-day permit to enter Upper Mustang. Trekking permits also need to be obtained before setting out on a trek. They are issued by the immigration department. 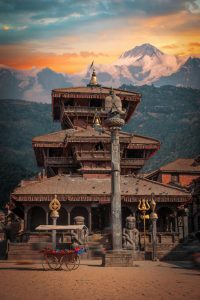 For more information, it is best to visit the Nepal immigration website, and budget for a little extra cash than stated, as fees can change without notice. If you are planning your trip in advance and would like to avoid hassle, you can apply for a visa in advance online (with a nominal service fee) at VisaHQ. Otherwise, you can get a visa on arrival at Tribhuvan International Airport. Ensure that your passport is valid for at least 6 months and that you have one entire free page for your visa to be stamped in. You will find electronic terminals in the airport where you fill out a form and print out a ticket. You then take this ticket with you to the payment counter. The payment counter will accept most major currencies. If you are unsure, USD is a safe bet. After you have paid, you can then proceed to immigration. If arriving at a land border, cash payment is required in USD, so be sure to bring small bills. Tourist visas can be obtained in 15, 30 or 90-day increments at a cost of $25, $40, or $100 USD respectively. You can extend a tourist visa out to 150 days in a calendar year, but you will have to go to the immigration office close to the expiry date of your current tourist visa to do this. If you have pre-booked a motel, jotting down the name and phone number of the hotel you are staying at is a good idea. Not only will it help when filling in the visa form, it will also help a great deal if your motel has not arranged a transfer for you. Taxi drivers are usually more than happy to call the motel on their mobile and get directions to drop you off. A word of warning: at times, the prices on the Nepali immigration website are not up to date. Make sure you have a little extra cash on you when you go to pay for your visa. Kathmandu and Pokhara are the two big name cities that tourists tend to flock to. For this reason, prices are inflated when staying in the tourist areas. There are a variety of options from hotels, motels, hostels, and AirBNBs. In Kathmandu, the tourist hub is called “Thamel”. 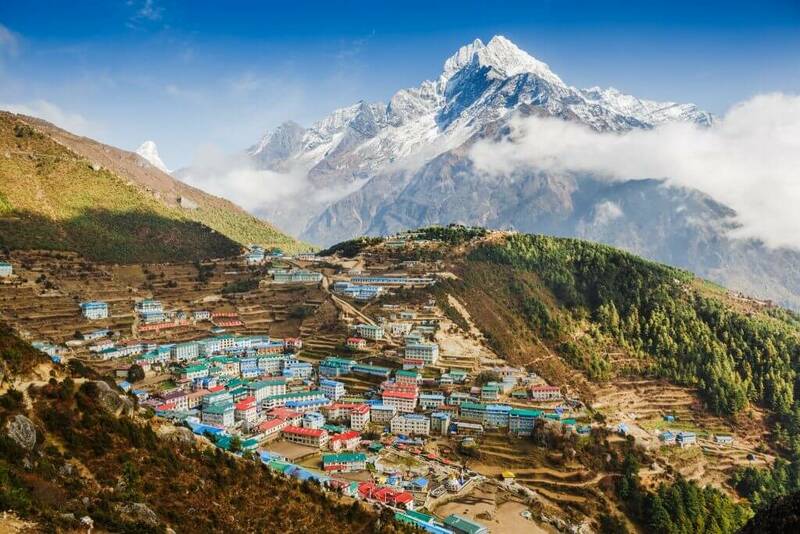 When you first arrive in Nepal, Thamel is a convenient place to start, as trekking equipment, travel agencies and accommodation is all readily available in Thamel. While you can pay as little as $5 USD a night, expect to pay roughly $20-$30 a night if you would like your own bathroom and a private room. In Pokhara, the place you will find all the tourist trappings is known as “Lakeside”. As the name suggests, the restaurant strip runs along the banks of Phewa Lake, making for some lovely spots to sit, have a tea and stare at the mountains. (Yes, you can see the Himalayas rising above the lake!). Pokhara offers activities such as boating on the lake, paragliding, short walks in the surrounding hills, farm stays, yoga tours, as well as shopping, and cafes in the tourist precinct. In Pokhara, hotels start at around $3 or $4 USD a night and go up from there. As you would expect, a $3 room is going to be very basic. Expensive motels have facilities such as pools and spas. You can browse, filter, and book the different accommodation options here. Eating out in Nepal can be incredibly cheap if you are prepared to venture out a little. The good news is you literally only need to wander a couple of streets out of the tourist hubs and you will find yourself in everyday Nepal. The delicious, authentic cuisine of this region is just one of the highlights of a visit to Nepal. That being said, as with travelling anywhere, food poisoning is a risk, so take precautions to keep yourself healthy (check our tips here). In many tourist areas, be aware that most restaurants will add two additional charges on top of your bill. A 10% service charge, and a 13% VAT. This information will usually be written at the bottom of the menu. 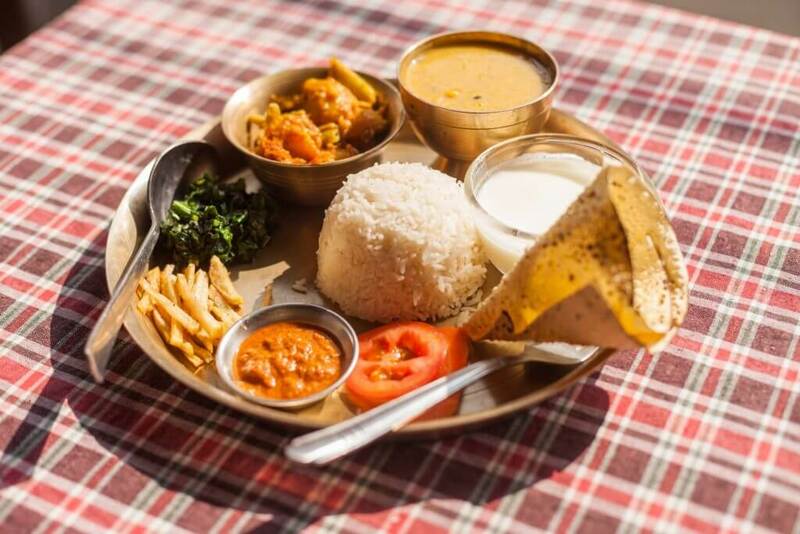 In the list of Nepali food below, I have mentioned prices for meals at local cafes. Prices in tourist areas will be inflated. Mo Mo’s: Available most commonly with veg, buffalo and chicken filling, these little dumplings are a great snack, although for me they constitute a meal. Usually you will get around 10 to a plate, but this can vary from shop to shop. You can get a plate of Mo Mo’s for $1.50 USD or less, depending on what filling you choose. Chicken is the most expensive. Mo Mo’s come steamed by default, but some shops will fry them, serve them with a sauce, or serve them in a soup if you choose. Chia: Drinking chia (tea) is a daily requirement in Nepal. Pronounced “chi-ya”, you can grab one for around $0.15 USD in a local tea shop. Sweet, and spiced with anything from cloves, to cardamom, to cinnamon, to pepper; each chia is unique. You can opt for black or milk tea, and if you aren’t a fan of sweet tea, you can ask them to tone down the sugar a bit by saying “chinni kom”. But don’t be surprised if, despite the request, it is still quite sweet. Sel Roti and Donuts: If you want a doughy, fried snack that goes well with a chia, you can find these everywhere. These little snacks are very cheap, usually costing around 10 cents each. Sel roti are thin, round, deep fried circles. Made of rice flour, they have little “gritty” bits and are oily and sweet. Donuts are fatter and buttery, somewhere between a donut and a croissant. Samosa: Samosas are generous in size, and for roughly $0.60 USD, you can get two samosas and a little bowl of lentil/vegetable curry (tarkari) at a local shop. Chow Mein: Chow mein is a simple dish of wok fried noodles, vegetables (such as carrot and cabbage), cilantro, a dash of spices, and a salty sauce. You can choose to have chicken, buffalo, egg, veg or a mix of these. At a local store, chow mein starts at around $1 USD for veg and will set you back around $1.50 for one with “the works”. Dhal Bhat: Dhal bhat is serious business. The staple food of Nepal, dhal bhat means “Lentils and Rice”, but there is much more to it than that. It is served with at least 3 or 4 side dishes. Dhal, or a spiced lentil soup, is poured over the rice. Tarkari is a vegetable curry which will usually consist of seasonal vegetables and will often also include potato. Maasu refers to meat in a gravy. The meat is usually chicken, goat or buffalo. Fish or pork is occasionally served as well. There will usually be an “achar”, which is either a pickle or a salty, sharp sauce that cuts through the salty rich flavors of the curries. Other accompaniments may include “saag”, which means greens, or other types of curry. If you are lucky enough to get asked into someone’s home for dhal bhat, expect to be topped up on curry and rice multiple times. You may also be offered snacks before the dhal bhat, which could include fried chicken, prawn chips, papad (like papadums), or a small portion of curry. Unless you have a bottomless pit for a tummy, go easy on these snacks, because the main meal is yet to come! Expect to pay around $3.50 or $4 as a starting price for dhal bhat. Restaurants will top you up on the veg dishes, but generally will not top up the meat. There are many more Nepali foods and drinks, many of which are specialties of specific cultural groups, such as Newars, Tamangs, or Gurungs (just to name a few). If you wish to make traditional Nepalese cuisine upon returning home, you may consider trying a local cooking class on your visit (you can even learn to make Mo mo’s!). Nepal is small in size, but big on travel time. Don’t be deceived when looking at the relatively short distance between two points on a map of Nepal and assume it should take “a couple of hours”. The truth is, getting out of Kathmandu itself can take a couple of hours. Roads are rough and getting through the city in a bus is sometimes more akin to four-wheel-driving than freeway travel. But, it can be half the fun if you’re ready for it. Lately, there has been a push to improve the roads, and main roads around Kathmandu are getting better. Bus, car, and plane travel are the only options within Nepal. When arranging a bus, the price will vary according to how comfortably you want to travel. 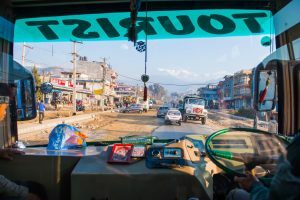 It can be incredibly cheap and a little rough (around $6 USD for a 6-8 hour journey from Kathmandu to Pokhara in a small bus), or cheapish and a bit nicer (around $25 for the same trip in a tourist bus). But remember, the roads are the same, so travelling most places is going to be a little bumpy and quite windy. Keep this in mind if you suffer from motion sickness. Around the tourist area of Thamel, you can find many travel agencies which can arrange transport for you. Alternatively, you could buy the tickets yourself directly from the bus park, or ask at the motel you are staying to arrange tickets for you (or at least point you in the direction of the bus park). Some bus routes can be booked in advance online. Taxis are a convenient way to get around Kathmandu. You will have to bargain for the price. Taxis are meant to be metered, but most aren’t. As a rule, from the airport to Thamel, expect to pay around 700 NPR (but I have heard of people negotiating it for around 400 – 500 NPR). You will pay more for a taxi if you are leaving from Thamel. You will notice 4WD’s getting around the streets of Kathmandu, and many of them are for hire. These 4WD’s are all referred to as “Jeeps”. If you want to arrange a Jeep, you can ask the driver, talk to a travel agent, or ask at your motel. Nepal has a few domestic airlines that travel to major centers and popular trekking locations. Nepal is even home to the dubious honor of having one of the world’s shortest, steepest runways in Lukla, at the Tenzing-Hillary Airport. To book, use a broad search engine like Skyscanner (we recommend selecting “Whole Month” to identify the cheapest dates to fly in a month). Air travel in Nepal is definitely faster than land travel, but it is significantly more expensive (think $100+ for a trip that would cost as little as $6 on a bus). And, if you’re a nervous flyer, taking a domestic flight might just test your limits. Scenic flights or helicopter rides are also available, and can be a great way to get a bird’s eye view of the majestic landscapes in this region. Treks can be arranged through a travel company before you arrive in Nepal or organized through a travel agent once you arrive. Both GetYourGuide and Viator and have an abundance of trekking tours for this region, and you can check traveler ratings and reviews before instantly booking. 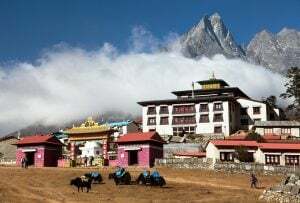 For some easy treks, or for those who are familiar with Nepal, trekking with just a porter or going self-guided is also possible. If you decide to go without a guide, you will need to be sure you have obtained all necessary permits and insurances before you set out. You should also be realistic about your fitness level, and be well informed about how to deal with altitude sickness. Not to be a kill joy, but people do get lost and die when trekking without a guide. Accommodation along the trek is in small tea houses, which offer a simple bed, a shower (gas heated water is often available) and food. Orders for dinner are usually taken in the afternoon, and after dinner your order for breakfast is taken. The higher you travel up the mountain, the food and drinks on offer become more basic, and usually more expensive. Water is available at villages along the trek. Be sure to fill up as you pass through each village. A tip for packing – bring clothes that can be taken off or put back on in layers, as nights are cold, and days are quite warm. This trek will take anywhere from 7 to 16 days. You will be trekking to an altitude of 4130 meters at the highest point. Some days you may be walking up to 6-8 hours in a day. The trek includes a lot of stairs, so it is worth considering your knees, especially on the way down. Tour durations vary by intensity and sights included. Due to the construction of roads in the area, the Annapurna circuit is now somewhat flexible. You can opt to take a jeep or a bus through some parts of the circuit or walk the whole thing. It can take anywhere from 8 – 15 days (more extensive tours are longer), and you will pass through areas as high as 5,416m. Set aside at least 12 days to complete this trek. Usually it takes around 8 days to get to base camp, and another 4 days to get back to Lukla. Due to the altitude toward the later stages of the trek, be sure to acclimatize and be aware of signs of altitude sickness. 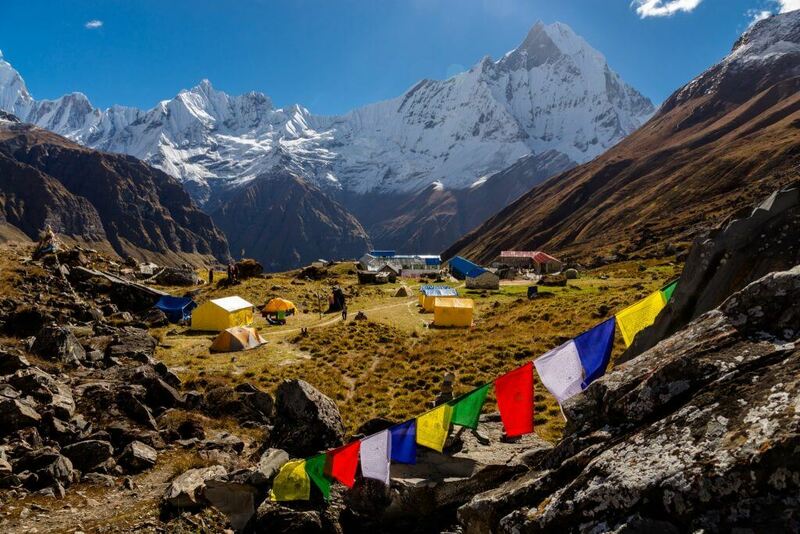 Nepal also offers birdwatching, rafting, kayaking, canoeing, bungee jumping, sky diving, mountain flights, mountaineering, paragliding, and mountain biking along with various cultural activities which are as diverse as the peoples and cultures in Nepal. Set aside around $40 a day to cover food and accommodation costs in Nepal. Be sure to factor in the price of permits and insurances if you plan to go trekking. Popular treks usually require a minimum of 10 days, and travel to and from Kathmandu could take 2-4 days depending on the roads. Aside from trekking, highlights of Nepal are the Chitwan National Park, Pokhara, and the Kathmandu Valley. When shopping in Nepal, be prepared to bargain. Be aware that you will likely be charged additional taxes in tourist areas. The great thing about Nepal is you can pretty well hail anyone down and ask questions. Lots of people can speak enough English to help you out, and are happy to help.